Google, soon-to-be Alphabet, is in the business of thinking up weird futures. Internet delivered by giant condom-looking balloons? Yep. Phones you can rip apart and piece back together? You betcha. Creating genetically-modified mosquitoes to fight malaria? Of cour—wait, what? Technology is filled with all kinds of rumors and speculation — real and fabricated. BitStream collects all those whispers into one place to deliver your morning buzz. According to a report by The Information, Linus Upson, an exec within Google who helped create Chrome, wants to start a project looking at GMO mosquitoes as a way to fight malaria and Dengue fever all around the world. The idea is an interesting one if not exactly 100 percent original. 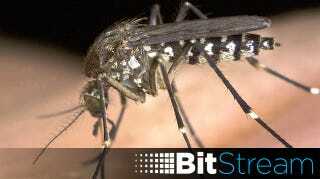 Companies like the British-based Oxitec have conducted controlled experiments with modified mosquitoes for years, starting with the Cayman Islands in 2010. Earlier this year, Oxitec submitted for approval from the FDA to send GMO mosquitoes in the Florida Keys to help combat the spread of Dengue fever. However, the FDA has some concerns and local residents saw themselves as “guinea pigs” for some Jurassic Park-esque experiment, according to The Washington Post. However, the experiment was carried out in Brazil with huge success, seeing a 95 percent drop of disease carrying insects. If there’s one thing that Google can land to the GMO mosquito conversation, it’s funding and a sense of legitimacy. The project is still in the early planning phases so we may not hear about any official news or study results for some time, but it would be one of the first projects that would fall squarely inside Alphabet’s more experimental wheelhouse rather than Google’s own. iPad Mini Gets More Tricks: Despite its, well, miniature size, Apple will be bringing splitscreen app support to the upcoming Mini 4, according to 9to5Mac. Aside from some new software tricks, it’ll be coming with a faster processor, too—at the very least, we can expect the Air 2’s A8 processor. Seems like a better update that just gold. Could You Charge an iPhone With the Electricity in Your Brain?